When will be Spider-Man Unlimited next episode air date? Is Spider-Man Unlimited renewed or cancelled? Where to countdown Spider-Man Unlimited air dates? Is Spider-Man Unlimited worth watching? Enjoy the unlimited power of swinging and running as Spider-Man in a chaotic Manhattan and battle the Formidable Sinister Six! Experience the Spider-Man comics come to life in a brand new episodic adventure, featuring content from over 50 years of Spider-Man Comics. Spider-Man agrees to help Bromley, a member of the rebellion against the High Evolutionary, to find his long-lost brother. At the end of the episode, after Bromley finds out that his brother is loyal to the High Evolutionary, he pushes him into a vat of water. The Beastials inside pull him down. Eddie Brock, alter ego of Venom, is separated from the Venom symbiote and Spider-Man agrees to retrieve it by donning it and then give it back to Brock before he dies. Karen O'Malley, a member of the rebellion against the High Evolutionary, is kidnapped by machine men of the Evolutionary, so Spider-Man and X-51 teams up to save her. Meanwhile, the Evolutionary realizes that Karen is his grand-daughter. Venom and Carnage reveal why they are on Counter-Earth. They have been working for the Synoptic, whose plan is to team up with the High Evolutionary. When the time is right, they will unleash millions of symbiotes on the planet to finally rid it of humans once and for all. Spider-Man, John Jameson, the rebellion, X-51 and the Goblin all team up to put an end to the High Evolutionary's plans but appear too late when the plans of Venom and Carnage unfold. Spider-Man Unlimited next episode air date provides TVMaze for you. 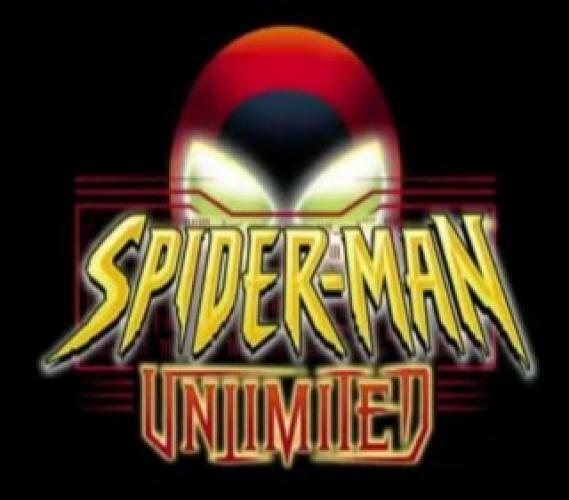 EpisoDate.com is your TV show guide to Countdown Spider-Man Unlimited Episode Air Dates and to stay in touch with Spider-Man Unlimited next episode Air Date and your others favorite TV Shows. Add the shows you like to a "Watchlist" and let the site take it from there.